We look forward to providing you with twice the Selling Power and Service! 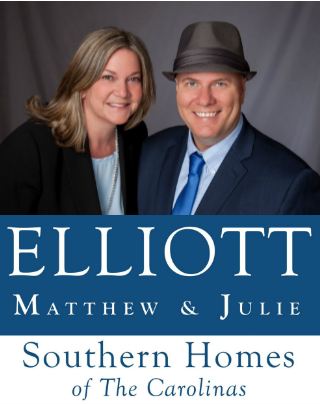 We are a Husband and Wife team at Southern Homes of The Carolinas specializing in residential Real Estate in the greater Charlotte Area of North Carolina. We both grew up in Rochester, New York and we have been together since 1993. We spent 10 years in Northeast Ohio before seeking the sunny blue skies of North Carolina, where we have called home since 2006. If you are considering selling, our proven marketing systems that emphasize the latest digital marketing technologies along with our expert negotiation skills will get your home sold faster and for the best possible price. We know houses! Armed with experience we have gained in the construction industry as a Licensed General Contractor we will help guide you through the many types of construction questions that inevitably arise with every sale and purchase. We have experience solving problems and issues on literally hundreds upon hundreds of homes. We share this experience to help you evaluate home construction materials and workmanship, make selections with the highest rate of return when building new or considering improvements, select the best home site, negotiate with builders, perform general negotiations and provide guidance on the performance of agreed-upon home inspection repairs. Last but not least, our 100% Satisfaction Guarantee ensures you the results you deserve in the sale or purchase of your home.